Learn the three most fundamental Pill Tricks, the Pull Spike, Cap Turn, and Swing Spike. 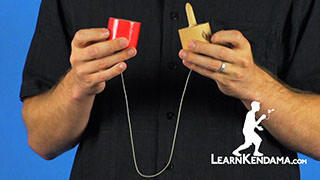 Pill Fundamental Tricks Kendama TrickIn this video I’m going to introduce you to the three most fundamental tricks on the pill, which are: the pull spike, cap turn, and swing spike. 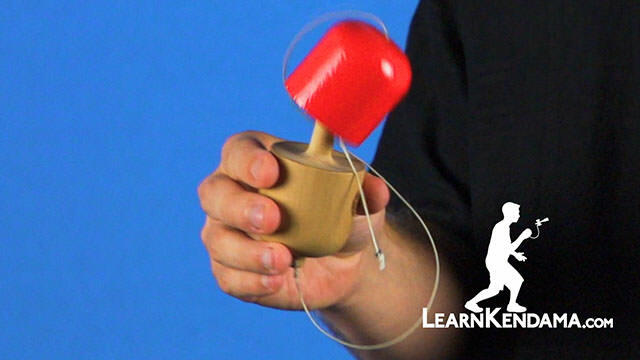 These are all tricks that are adapted from Kendama basics, but because of the design of the pill, you are going to find that they are actually easier to learn. If you don’t know what the pill is, you can check out our video on “What is the Pill Juggling Toy?” and that video is about what the pill is, the different parts of the pill, what you need to know about buying it, as well as all the different types of tricks you can do. All very important things to learn. The very first thing I’m going to teach you is how to get the cap onto the spike, which is actually easier than you think. 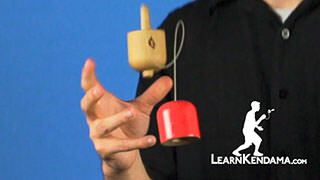 If you look at the hole of a pill compared to the hole of a Kendama side by side, you will notice that they are the same size. 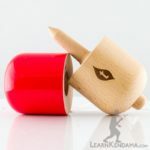 But, the pill has a large rim around the hole that is beveled inwards that directs the spike of the pill into the hole, as compared to a Kendama which will reject the spike unless you land with perfect accuracy. To learn the Pull Spike, the first thing you want to do is hold the base in your dominant hand with the spike pointing up, and steady the cap down below letting it hang freely. You are going to want to bend your knees down and this is really important to use your knees to pull up. You are going to stand up and let the cap come up. Bring the base underneath and land the spike on it. 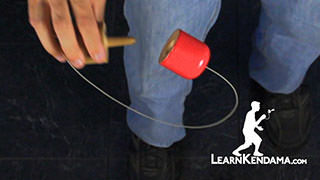 To do that use your knees to pull up and right as the cap gets to about the level of your hand, you are going to move your hand around and underneath the cap and position the pill just under the hole so that the cap when it is on its way down, can land onto the spike. The big problem you might run into with this trick is that sometimes you pull up and the hole is not pointing down, so you will not be able to land the spike. There is two reasons that might be happening. The first is that you might be pulling to the side, trying to move your hand too early. 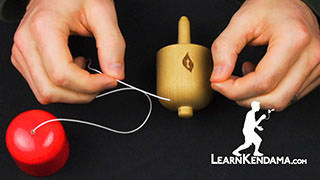 When you do that, you will find that the string will pull on the cap and cause the hole to turn in all different directions. To fix that, just delay when you move your hand. Again, wait until the cap is about level with your dominant hand before you stop moving to the side. The second most important reason is the knees. You are going to find that the knees are very important in pill tricks. If you try to use your hand to pull the cap up, you will find that you can move in all different directions with your hand and your arm. Which means that you have not as much control over it as if you used your knees. Using your knees to just bend down and pull up allows you to only move in one direction, straight up. This gives you more consistency and more control of keeping the cap straight so that the hole is pointed down. You can line up the spike underneath the hole. 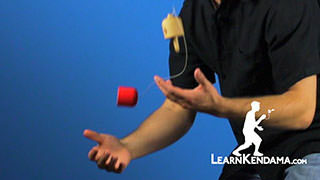 The second trick we are going to learn is cap turn. To start this trick you are going to want to hold the base in your dominant hand with the cap already on the spike. You will notice that this trick begins where the last trick we learned ended, which makes them great tricks to put together in combination. The first thing you are going to want to do is use your knees, you are going to bend them like in the last trick to get upward momentum to get the cap to come off of the spike. You are just going to bend down and then you are going to go up and you will see that will get the cap to come right off. At the same time, you are going to want to flick your wrist towards yourself. 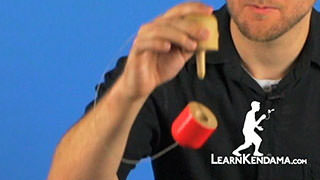 When you do these things together, you will notice that the cap will rotate 360 degrees and land back on the spike. One thing you will find is that the harder you flick your wrist, the faster the cap will rotate, and the lighter you flick your wrist, the slower the cap will rotate. 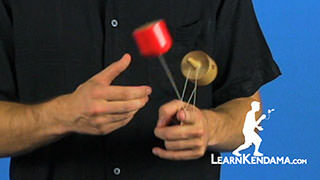 It is a good idea when first learning this trick to lightly flight your wrist and cause the cap to rotate slower. It makes it easier to track the hole. 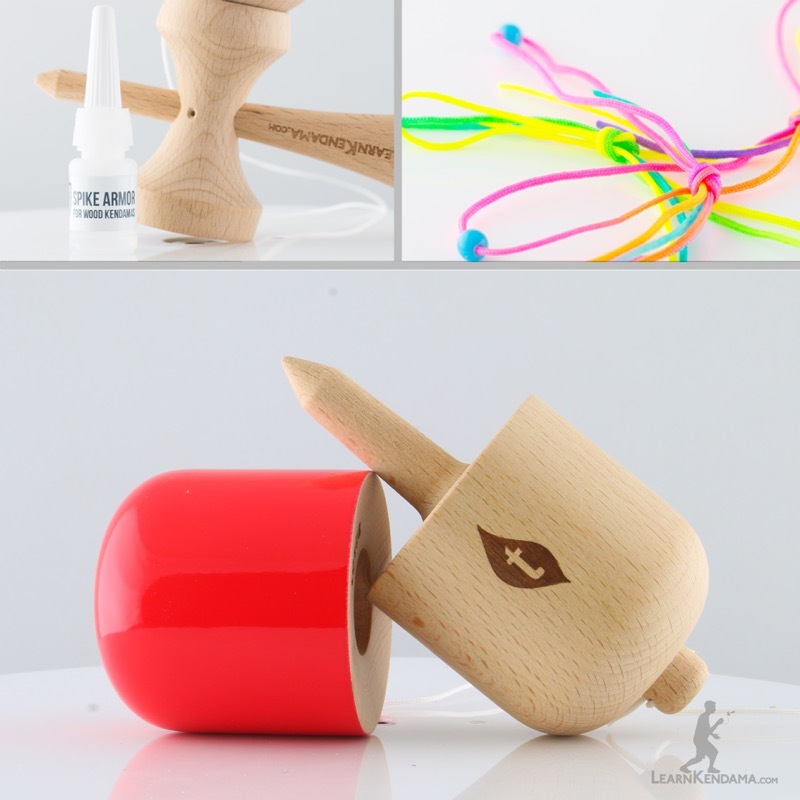 As the cap is rotating around, what you want to try to do is find the hole and track where it is at, and then position the spike just underneath it so that the cap can fall onto the spike. There are two tips that will help with this trick. The first is that you want to keep the spike as close to the cap as possible. If you are trying to aim and you have the spike really far away from the cap, you will find that is a lot harder to do. If you keep the cap and the spike close to each other, then as the cap rotates around, you will be able to aim the spike easier and land the cap on the spike more consistently. The second thing is that you want to use your knees to catch the cap. This is especially important as the cap is rotating slowly, you will want to catch it when the hole is in the right position, when it is facing downwards. That will be at a different height each time that you do it, so you want to bend your knees and catch it at the right height when the hole is in the correct position, facing downwards. You will also find that once you have ended this trick, you are right back where you started the trick, which makes it a great trick to put into succession a couple of times, as many times as you can land it. Once you have mastered this trick and you have mastered the pull spike, you can learn the third fundamental trick, which is the swing spike. This is essentially just a combination of the first two tricks that we have been learning. 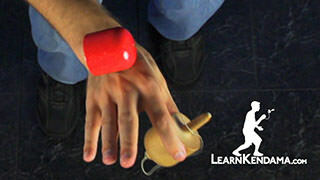 To do this you are going to hold the base in your dominant hand and you are going to take the cap and hold it in your opposite hand at about the level of your hip. Let go and let it swing forward. At the same time it is swinging forward, you are going to want to bend your knees down and just like in the pull spike, you are going to use your knees to pull up and you are going to do that once it reaches its peak of the swing, the very end of the swing. At the same time that you are doing that, you are going to use your wrist to pull back. If we do it here, you are going to drop it, bend down, and pull back with your wrist and up with your knees. 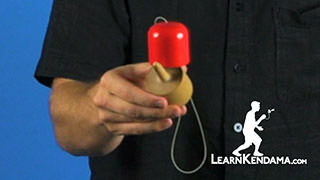 You will see that causes the cap to swing out and to rotate upward. Then just the same way that we aimed landing our cap flip, we are going to land the swing spike by keeping the spike nice and close and letting it fall onto the cap. When you put all of it together, it looks like that. And that is the swing spike. Once you have mastered these three fundamental tricks, you may be surprised to discover that you actually know six tricks. That is because each one of these tricks can be done cap side. That is, holding the cap instead of the base. To do cap side pull spike, what you are going to do is hold the cap in your dominant hand, let the base hang down at the bottom, and all the same tips apply, use your knees to pull up, and catch the spike in the cap. It will take a little adjustment but you will find you pick it up pretty fast. Now you can do a cap side cap turn, which is actually called a jumping stick or a j stick. All the same tips from a cap turn apply. The only difference is that you have to throw this one a little bit higher because the spike sticks out and it doubles the turn radius. Just like before, once you have mastered those two tricks, you can combine them together to do a cap side swing spike, which is actually called an airplane. to do that, hold the cap in your dominant hand, the base in your opposite hand and let it swing forward using your knees and your wrist to rotate it and cause it to land in the spike. You may find that you have to pull or flick your wrist a little harder to complete that rotation. Once you have got it, that is the whole trick. And all of those are your pill fundamentals that you need to know before moving on.